Serious Shake Shack fans will remember what culinary director Mark Rosati calls the french fry debacle of 2013. The beloved New York burger brand decided that year to switch to fresh-cut skinny fries in favor of its iconic frozen crinkle cuts. Customers and critics immediately revolted, and a year later, the fresh cuts were ditched and the crinkles triumphantly returned. It was not a smooth moment for the now-global chain. In retrospect, Rosati points to the fact that not once did they test the new fries on actual customers. 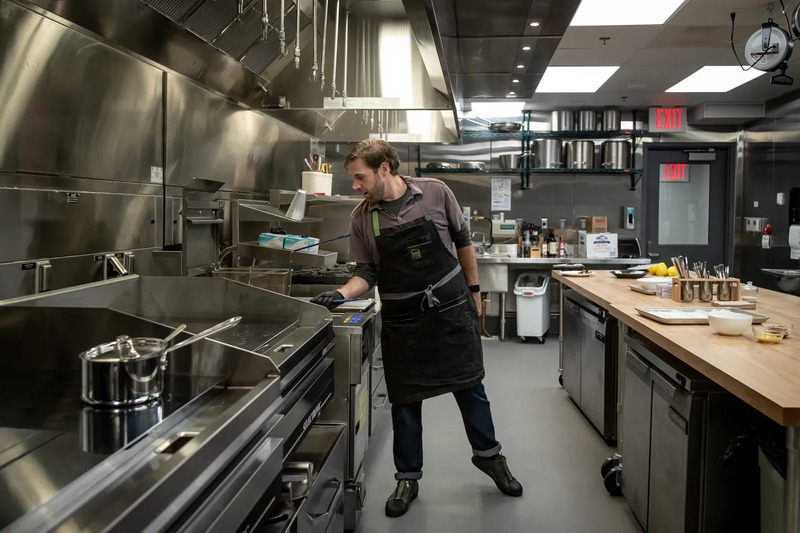 Fast forward five years and Shake Shack has opened a shiny new test kitchen — the Innovation Kitchen, as they like to say — underneath a West Village Shake Shack in order to test out new items on customers. The West Village Shack already sells three new-to-NY items: chicken nuggets, Japan’s black sesame milkshake — a Danny Meyer favorite — and a matcha cold brew, introduced in London.